Tesla's Autopilot 2.5 is advancing so well that I predict there will be a gradual transition into self-driving. The Autopilot is clearly not perfect yet, but proper road surface identification is a key part of the puzzle and AP 2.5 road surface identification has improved greatly compared to AP1. Its clearly learning! 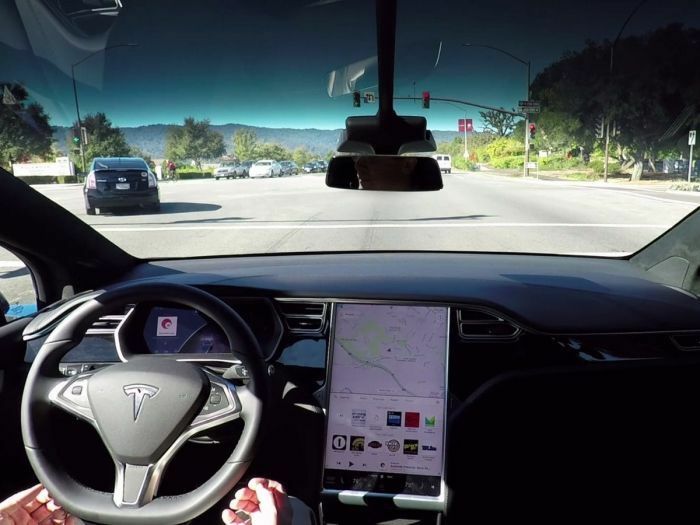 Tesla's Autopilot 1.0 used Mobile Eye technology which seemed to require clearly identifiable road lines or a car directly in front of it before you could engage it. With road lines it would steer solidly in the middle. With a lead car, it would turn the car blue on your screen, it would simply follow that car for a short period until it could pick “see” road lines. If it couldn't see lines it didn't work well at all. Tesla broke with Mobile Eye and wrote their own improved version of Autopilot 2.5 with their hardware 2 models. AP 2.5 is clearly much better at identifying the road surface even when the road lines are messed up or totally disappear. It understands wide roads lanes and transitions from one lane to two lanes with road markings. On a wide road lane when I approached parked cars on your right, I’ve seen it immediately adjust the road surface to the left. Proper road surface identification is a key step in autonomous driving. AP 2.5 is clearly not nearly self-driving yet, but I can see it developing slowly and getting smarter. In my video below I demonstrate how well it identifies the road surface and steers going down a tough street in a small town.